When I awoke on January 1, 2017 and went to check my Instagram account (yes, it’s the first thing I do in the morning — hey, at least it’s not the last thing I do at night), my jaw dropped. 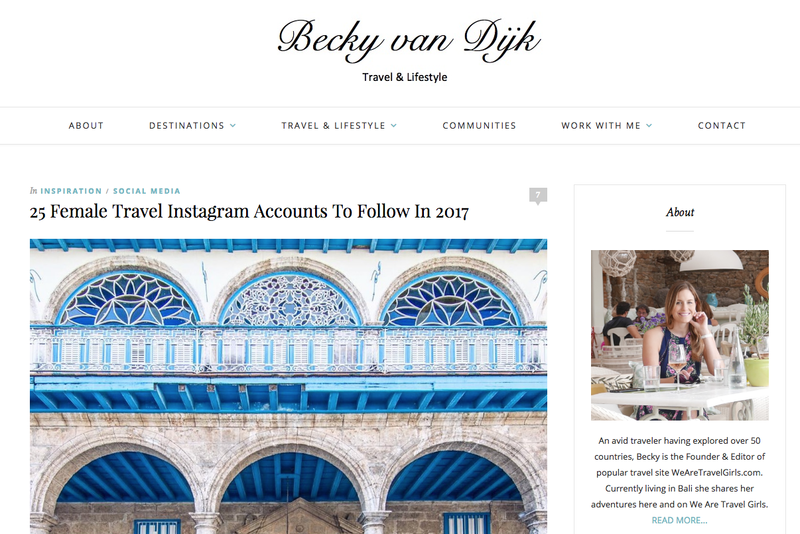 StylishTravels had commented on one of my posts, congratulating me on my inclusion in Becky Van Dijk‘s round-up of 25 Instagram accounts you have to follow. Now, if you don’t know who Van Dijk is, she’s the co-founder of We Are Travel Girls, a blog and corresponding Instagram site and hashtag (the former with 169,000 170,000 followers — it keeps growing! — and the latter with nearly 300,000 posts). Van Dijk herself is no slouch, with an amazing travel and lifestyle blog and 66,000+ Instagram followers (and counting). We Are Travel Girls features great stories like 9 Tips for Visiting the Sheikh Zayed Mosque in Abu Dhabi and Conquering Stigmas: Travelling Solo Through the Silk Road (by fellow nominee Sophia Kim). I immediately went to Van Dijk’s site and scrolled through the 25 female travel Instagram accounts she had chosen to feature. They included Instagram stars like Marina Comes, SLJ Gone Walkabout, and Traveling Betches. 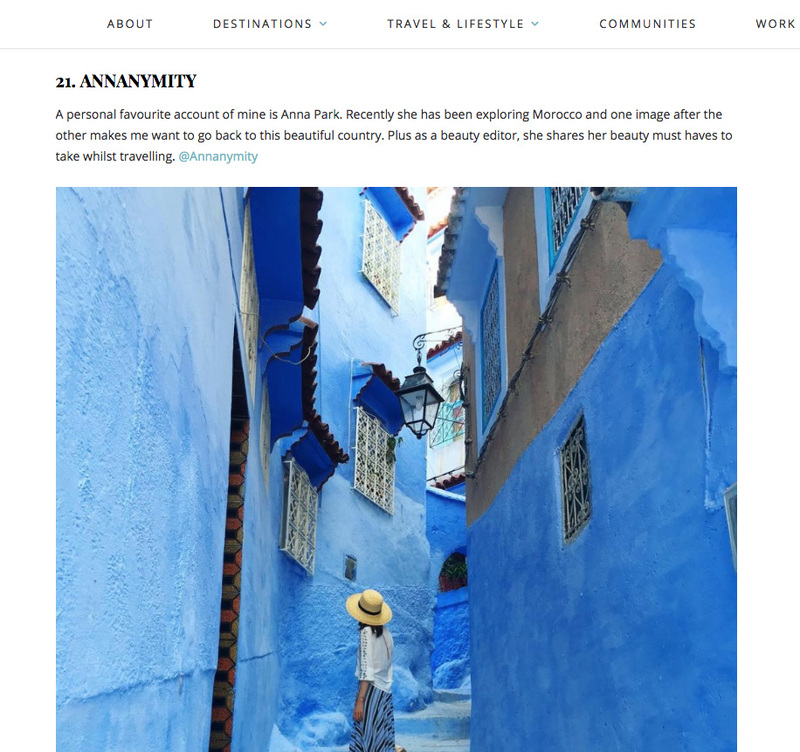 (Which blows my mind — I stalked Marina and SLJ’s accounts for their Chefchaouen photos before traveling there this past fall.) Most of the featured accounts have photos that are magazine spread-worthy, clearly taken by some professional photographer with amazing editing skills, the subjects themselves model-esque beauties who are experts at posing with no fear of gawking passersby. I couldn’t believe it. My Instagram page? My Instagram page! The one that I had frantically started posting on a little over a year ago, unsure about my vision or my focus, only sure that I had to do something now that I was unemployed, the magazine I had poured my heart into for 12 years shut down forever. My Instagram page that I subsequently poured my heart into for a year, posting almost every single day, learning about hashtags, commenting and responding to comments, watching my numbers slowly but steadily grow, becoming friends with many a fellow ‘grammer, gawking at their amazing photos and gaining so much inspiration for my travel and beauty photos. My Instagram page, filled with photos from my past travels and more recently, of incredibly awkward me and my sheepish “poses” (if you can call them that) only ameliorated by the fact that I happened to be in some of the most beautiful spots on earth (Chefchaouen, Marrakech, Fes). My best nine Instagram posts from 2016, each garnering over 300 likes. 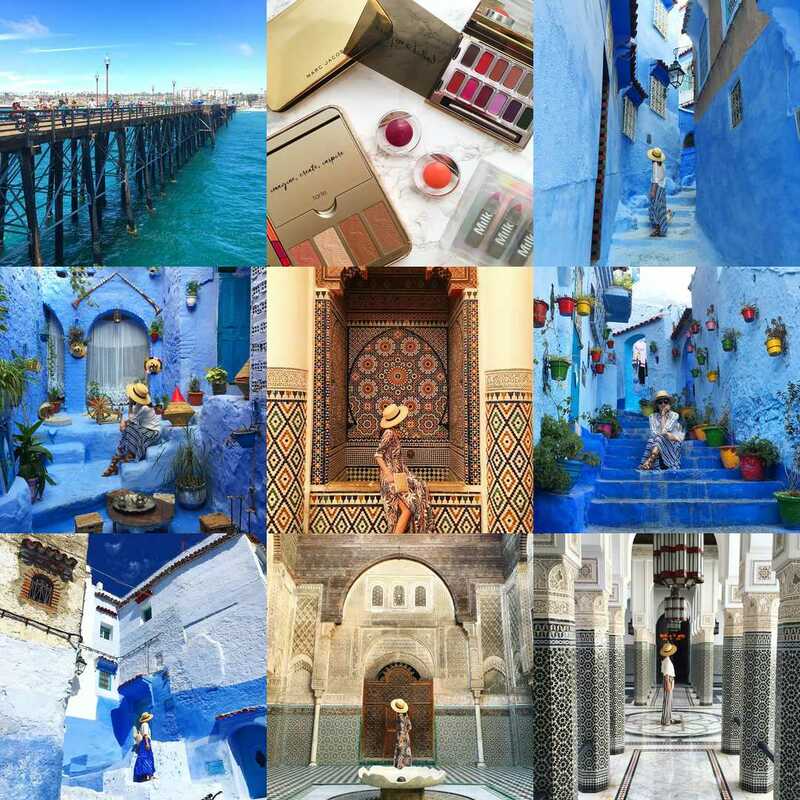 Most are photos from Morocco. It’s the affirmation of a year’s worth of work, of really throwing myself into learning something new. I had been adamantly anti-social media before I was laid off, firmly committed to print and an old-school way of thinking. But after getting laid off, I had no choice but to take the first tentative steps towards making my own digital footprint, starting this blog and my Instagram account. I wince when I look at my first dozen posts, but in a way, I cherish every one of them. Because it’s the visual manifestation of my learning curve, of how far I’ve come. Of how much I’ve learned and grown in 2016. And as modest as any success I may have may be, I’m nevertheless proud of it. So thank you thank you thank you Becky Van Dijk. Your inclusion of me in your story means so much more than just recognition of my Instagram account. It is affirmation of all my hard work in this new chapter of my life. I am truly beyond honored. Congratulations! You are travel photos are absolutely professional quality. So happy for you! Awww thanks so much! And I just found you on Instagram! So happy to be friends there. I love your clean aesthetic!